The table below shows typical costs per issue for a two-page (one 8.5 x 11 inch sheet, printed on both sides), full-color, printed newsletter. This is an ideal publication size for those on a tight budget, and it holds about three or four medium-sized articles with photos. • You write and edit articles: The client writes the articles, does his or her own proofing and editing, and CompanyNewsletters.com provides the design/layout and printing. The cost for this option is shown in the second column of the pricing table below. • You write articles, we edit: The client writes the articles, and we have a highly experienced professional editor lightly edit the articles. We also provide design/layout and printing services. The cost for this option is shown in the third column of the pricing table below. 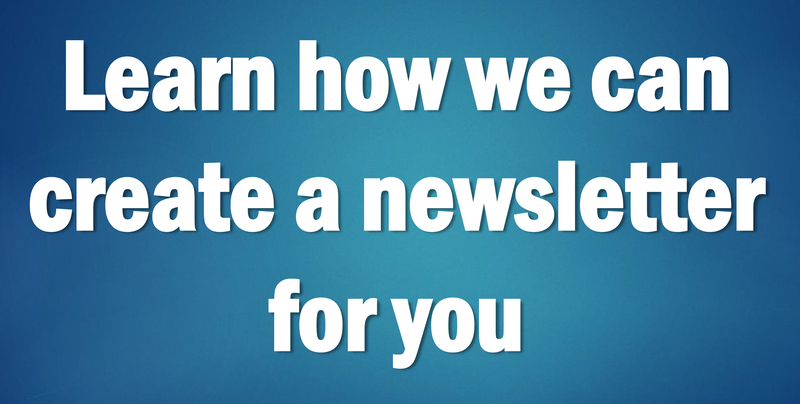 • We write articles: With this option, CompanyNewsletters.com provides you with a complete turnkey newsletter. Our highly experienced business journalists will write the articles according to your specifications, and we will also provide design/layout and printing services. The cost for this option is shown in the fourth column of the pricing table below. The prices above are averages as of January 2019 and are subject to change. Prices include layout (assuming insertion of four client-supplied photos and one-half hour of client revisions) and printing charges, using coated, 80#-text-weight paper. The prices also include a free electronic “PDF” version of your printed newsletter, suitable for e-mailing or posting on your Web site. The prices listed above do not include a one-time initial design and setup charge, which averages $742 and is added to the cost of your first issue. Also, the prices do not include shipping or mailing charges, which we could estimate for you once we learn more about how you’d like your newsletter distributed. For pricing on other types of printed newsletters, as well as e-mail, Internet and PDF newsletters, please go to our main pricing page.